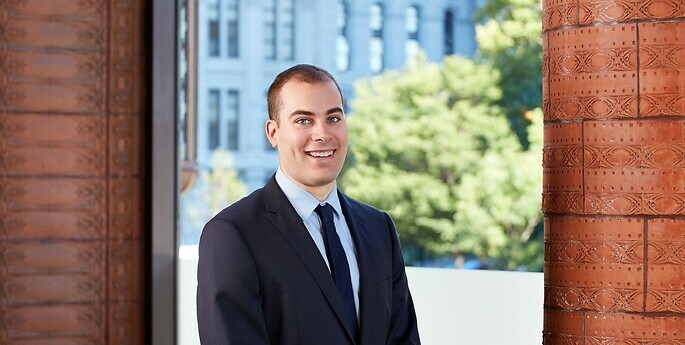 Daniel is an associate in the Intellectual Property & Technology Practice, where he focuses on the preparation and prosecution of patent applications. He also assists attorneys with trademark and copyright matters, and in advising start-up businesses and not-for-profit organizations. Daniel's prior experience includes having worked as an electrical engineer in the aerospace industry, as well as on patentability analysis of university technologies while working at the technology transfer office of the University at Buffalo. Daniel is Vice President and co-founder of the Sugar City Arts Collaborative, an all-ages, volunteer-run not-for-profit venue for performing and creative artists. He takes a lead role in planning, fundraising and providing community outreach.